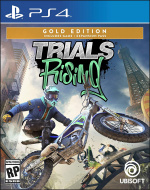 Trials Rising launches on 26th February, but as with all Ubisoft games these days, the release date is just the beginning of the journey. Available on day one will be an Expansion Pass, which promises two major add-on packs through 2020. There’ll also be regular seasonal updates, adding various cosmetic items and content to the title. The first of the premium DLC packs, Sixty-Six, will take you on a tour of the USA – and will include nods to various cultural American touchstones, such as football and baseball. Then, the second add-on Crash & Sunburn will transport you to the southern hemisphere, as you bunny hop your away from Peru to Antarctica. If you do pick up the Expansion Pass, you’ll get both of the DLC packs, as well as instant access to an Evel Knievel-style outfit and a samurai-themed customisation pack. Ubisoft’s promised there’ll be regular events post-launch, including an Easter one with associated prizes. There’ll also be rotating weekly challenges to keep things fresh. A new Trials game is always exciting for me. Fusion was my #1 reason to buy a PS4. That being said, the beta for Rising was pretty rough. I hope they worked out the links. I’d like to know the price of the game and the pass also. @OmegaStriver Base game is $20. Season pass is an additional $20. So $40 for the complete game. @sketchturner Thanks, I say it will be a day 1 purchase then. Stinks we never got the giga track in Fusion.